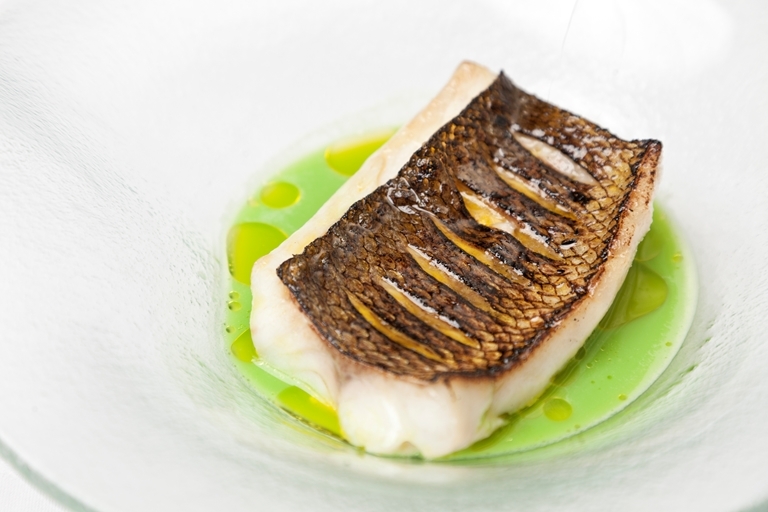 Galton Blackiston's sea bass recipe is brilliantly simple. The baked sea bass and verdant pea soup look stunning together, and the flavours combine deliciously for a magnificent seafood dish. Ask your local fishmonger to prepare the sea bass fillet for you if you don't want to do this yourself.